A head-to-toe warm up, that will generate heat in the body through breath, and open the body through a series of repetitive short movement sequences which we’ll build on as the week progresses, leaving you energised for your day ahead. We will work also in contact improvisation tasks working in pairs and in groups, gently giving and taking weight and finding techniques for flying, partnering and floor work. Beginning with a short daily intro on specific core strengthening and preparation for harness and an introduction to the rigging kit, we’ll move through basic orientation and vocabulary and build towards learning jumps, somersaults, as well as linking choreography with the possibility for creative play. On this course you will be guided through techniques for dancing on long ropes, on a big wall (30 metres). We will explore extended sequences of pendulum movement and how to dance together in this environment. Creative exploration will include partnering and counterbalance working with pulleys and there will be a couple of informal opportunities to share performance work. The course is aimed at vertical dancers with experience in the form. As a guide, you should be comfortable with forward and backward rotations (somersaults) and be able to perform controlled pendulum (wall running) movement. Multiple layers to protect yourself from the harness (unitards recommended). We will be working outdoors most of the time, so bring suncream, warm clothes and waterproofs as well as water. In this warm down session, you’ll be led through simple Tailendaise massage sequences (Shiatsu and Thai), to ease up any pain and soreness in the body and help prepare you for the next day. Each day we will target a different area of the body involved in aerial work e.g. the rotator cuff, the core muscles, the forearms and the lower back/pelvis and work with a partner to encourage greater flexibility, find space in the body, and a practical understanding of how to use these techniques to enhance your training. 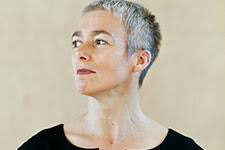 Kate trained in dance at Thamesdown and Laban (1984 – 1989). She is currently a part-time lecturer in performance at Bangor University and was previously she dance lecturer at University of Surrey where she pioneered a vertical dance undergraduate module (2003 – 2010), fusing her dance background with her long-standing passion for rock climbing. She has taught around Britain and in Canada, France, Greece and Croatia including at European Aerial Dance Festival and at Les Rencontres de Danse Aerienne. 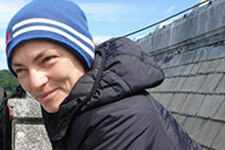 She has undertaken commissions from and collaborated with National Theatre Wales, Theatr Genedlaethol Cymru, Marc Rees, Llawn Festival, Venue Cymru, Pontio and Pflasterspektalkl Linz resulting in performances on Belfast City Hall, Snowdon, Guildford Cathedral and National Library of Wales. Her work has been supported by Arts Council Wales and incudes Ynghwm/Roped Together (2011) Pobl Dre (2012), Gwymon (2013/14), Porth (2015) and Omnibus (2016). She writes about performance and in 2010 published the first scholarly article on vertical dance: ‘Hanging from knowledge: ‘fieldwork’ on the National Library of Wales’ in Performance Research, ‘Fieldworks’: On Performance, Landscape and Environment. 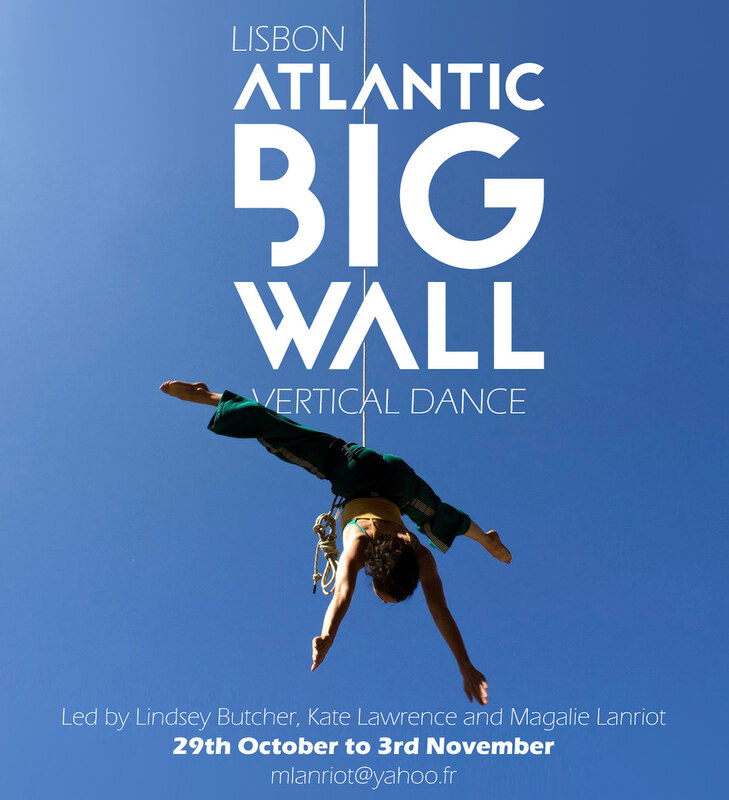 Kate’s company, Vertical Dance Kate Lawrence, is based in North Wales. 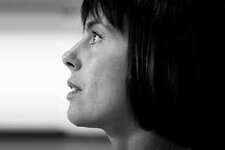 Magalie is a choreographer, dancer and teacher with training in contemporary and vertical dance.She is working in association with the Unniversity of Lisbon, providing formation and research for vertical and contemporary dance in Portugal. She is a teacher in the Olga Roriz’s company and works as a project assistant for the F.O.R. Dance Theater. She has also taught at the following festivals, schools and projects: European Aerial Dance Festival in UK; Les Rencontres de la Danse Aerienne in La Baule, France; Janze Circus Schools, in France and Armazém 13 project, Lisbon. She performed with "Gravity and Levity" in "Rites of War"- UK Tour 2014, created by Lindsey Butcher and Darshan Singh Bhuller. In 2011 Magalie created her own company L’Envers du Pied and choreographed a solo and trapeze dance" Entre... moi" performing it at a number of festivals including: Les Festival Rencontres de la Danse Aerienne in La Baule, France (2012, 2013), Festivox in Bordeaux, France (2011), Malaposta Festival, Portugal (2011), Ficadance Évora Festival, Portugal (2011), Almada Dance Festival, Portugal (2011) and Festival of Santa Barbara Centre for Aerial Arts, USA (2014).